“No Other Place” starts off the album to a solid start. Jason & co. sound awesome, powerful and are a blast full of energy. That’s what you should expect with any AZ album but sometimes they have a few reggae/ska songs mixed in. The second track “Undivided” might be my favorite song on the album because of the chorus. There’s one point in that song Jason holds a scream for a few second; I thought maybe his head might pop. The first four tracks are fast punk rock tracks, and then the band mixes things up with “Struggle.” Authority Zero is a rare band that can play fast songs and then play some slower ones (“Struggle,” “Today We Heard The News”) that are just as good! I usually like the first half of the albums more than the second half but this album is very strong overall. There’s one or two songs I don’t like as much as other but AZ fans should be very happy with this new effort. 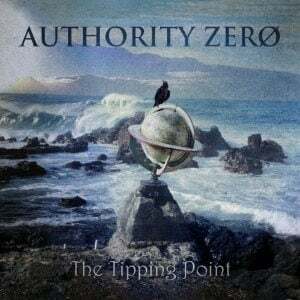 Bottom Line: Yet another awesome album from Authority Zero!